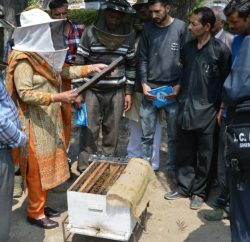 To reconsider the move of the government pertaining to removal of encroachments and felling of apple trees in orchards and other fruit trees raised illegally on forest land, a deputation comprising Horticulture Minister Vidya Stokes, Chief Parliamentary Secretaries, Nand Lal and Rohit Thakur, MLA Mohan Lal Bragta, Chairman HP State Marketing Board, Subhash Manglate called on Chief Minister Virbhadra Singh and urged him to file a review petition in the High Court in the matter and initiate steps for stopping the drive of removing encroachments wherein many small and marginal farmers were being affected. In a joint memorandum submitted to the Chief Minister, they urged that the officers may be asked to stop the move of withdrawing water and electricity connections and to find out a suitable alternative so that the small farmers and horticulturalists may not suffer. They stated that the move was against the small and marginal farmers and there was a need to protect their interests. Himachal Pradesh Youth Congress President Vikramaditya Singh has also requested the State Government to file an affidavit in the Hon’ble High Court to stop felling of apple and other fruit trees on the Government land. 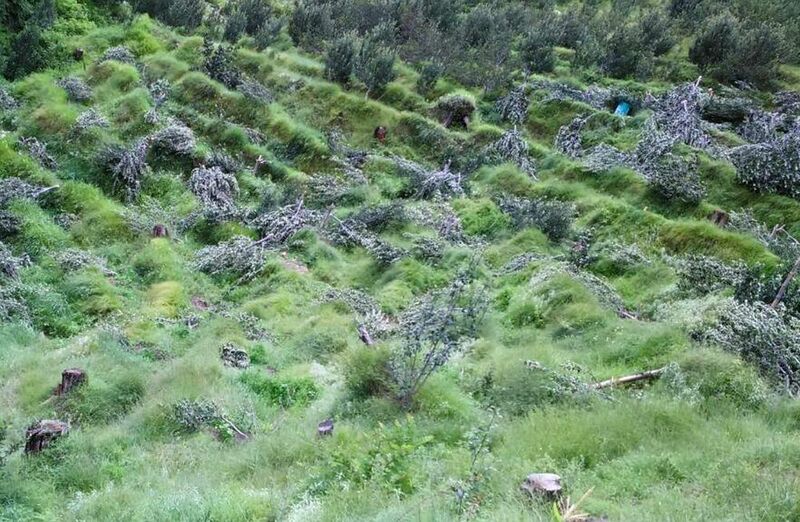 In a press statement issued here today Vikramaditya Singh said apple tree felling is not only affecting small and marginal farmers of the State, but harming the fragile Himalayan ecology also. Youth Congress president has requested the Chief Minister Virbhadra Singh to personally intervene in the matter and also advised the State Government to frame some suitable policy so that the small and marginal farmers could be saved. The State Youth Congress Chief said that it was the previous BJP Government in the State which in 2002 allured the farmers to voluntarily disclose the encroachments made by them on Government land for regularization, but as expected, the same turned out to be an election stunt. He said that the most of these farmers were small and marginal who had planted fruit trees on small portion of Government land adjoining to their landholding for their livelihood or for constructing house. He said that there was need to provide one time relief to such farmers. He said that Government should frame a policy to regularize encroachments upto 10 bighas of land to provide a relief to the small and marginal farmers of the State so that they were not deprived of their livelihood. 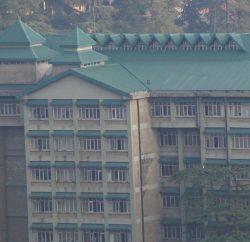 Earlier, yesterday, Himachal Congress president Sukhvinder Singh Sukhu has sought state government immediate intervention and urged the state government to file an affidavit in the High Court, seeking a stop on such activities. Sukhu said that small and marginal farmers are being affected and emphasized that it’s a responsibility of the state government to come with way out for affected farmers as this tree felling is not helping the farmers let alone the fragile eco-system. CPM had also apposed the apple tree felling and accused the state government for willfully evictng the apple growers out of the land where they have been harvesting for years together. CPM leaders have demanded to stop the felling of fruit bearing tree immediately and also given a call of ‘Chipko’ movement to protect plants from the nefarious government of the state.